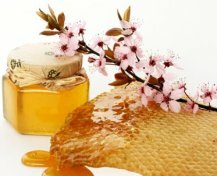 Honey (shown) ~ "This is a completely new version of the honey fragrance....A tender honey fragrance with a hint of sweet musk in the base." Notes include honey, beeswax absolute and sweet musk. Madeline ~ a limited edition holiday fragrance with " Arabian musk, precious woods, vanilla bourbon and amber perfectly blended with fig, liquorice and milk notes and topped with a warming mix of brandy and spices. The perfect fragrance for a beautiful Christmas." Sin ~ a "decadent fragrance of black opium tinged with amber and musks. The fragrance evokes imagery of siver screen sirens, flappers and international women of beauty and mystery." Notes include black opium, amber, musk and vanilla. Do you know anyone who's tried this line? “Madeline” sounded kind of yummy to me (esp. for winter/holiday), so I decided to check out the Ava-Luxe site: she really has quite a huge number of scents. They sell samples in various sizes, so I may just be tempted to try a couple (or a dozen, more likely…). I was just wondering if you (or anyone) has heard anything about the quality or other general impressions of the product. Her fragrances get great reviews on Basenotes.net so I sent for a bunch of samples. I was very impressed by the service and I've liked the fragrances I've tried so far. She has some uncannily realistic ones – her 'Milk' smells exactly like condensed milk and her 'Fire Wood' is fantastically dry and smoky. Her fragrances that I've tried and particularly remember are 'Silk' and 'Love's Bluish Light' – both were lovely; very well-composed and wearable. I liked them a lot and am looking forward to trying the other samples. AL, along with Dawn Spencer Hurwitz (also has an announcement today) is one of the more popular indie etailers on MakeupAlley. I'm sorry to say I've only tried 1 so far, and didn't love it, but it wasn't a scent I'd be likely to love anyway. I've been meaning to try more. Well, that was easy … just went and ordered samples and did end up with exactly a dozen (no surprise). She has some nice-sounding woods and ambers, and a couple of chypres I was intrigued by. I'm also sampling her fig and fig leaf (I skipped fig wood), which I'm trying to be hopeful about because, I have to tell you, R., that I recently bought a partial bottle of Philosykos, unsniffed, completely thanks to you. I absolutely love it, but I'm hoping to find another fig that is (a) more affordable and (b) longer lasting, as I have to absolutely douse myself in Philosykos to make it last at all. We'll see if AL “Fig” comes even close. I have to say I'm impressed with the way the line looks (and again, the huge range). All fragrances are extraits or EDPs and most also come in a wide range of body products and are relatively extremely affordable. I've come across some comments elsewhere from NST commenter chayaruchama raving about the line, but hardly any full reviews on frag blogs, so my fingers are crossed. I really don't mean to rave ! [Andy did well with all the woody ones- like Royal Parvati, Palisander. I'm getting the Honey soon; the others weren't available when I placed my order. they sound intriguing, though. I tried Fig Wood, and liked it- it lasts longer than Philosykos, which I also wear. BTW- the chypres are lovely. Each one different. I loved the Golden Amber, which reminds me of Etro's and Ambre Russe- both favorites. I guess I'm seduced by excellent quality at reasonable prices, well-blended by a REAL PERSON- not a company ! I personally think she could sell at Barney's or Bendel's. Nice to see/read you chaya! I've been missing your comments in the blogosphere. DIdn't know you were writing for Sniffa–I'll go check that out pronto! Joe, so glad you liked Philosykos! I guess it doesn't last forever, and offhand, can't think of a perfect fig that does — the 2 L'Artisans are also relatively short lived. Everything else ends up being too sweet, too fruity, or too something else for me. Let me know how the Ava Luxe turns out! Ava Luxe is one of my very favorite perfumers. I’ve just tried Madeline, wanting something comforting now that the weather’s getting cold, and it’s beautiful. A lusciously cozy, but not heavy, gourmand scent. I like every fragrance I’ve tried of hers, esp. Midnight Violet (hasn’t been available for a while) and Cafe Noir, and now Madeline. I’m really enjoying wearing it. Note: she did seem to disappear for a bit, but I found her own shop by googling her.